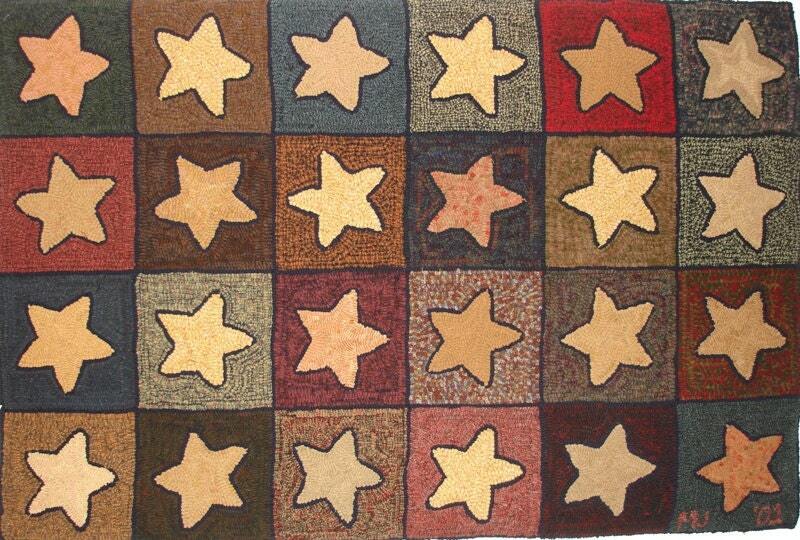 Twenty-four stars shine out from 9" squares. I choose dark and medium plaids and textures for the backgrounds and many different golds from my dyeing experiments for the stars. A great pattern to use up some of your wool stash. The pattern is hand drawn on the backing fabric with at least 4 inch borders. Care has been taken to draw all straight lines on the grain line so that your rug will finish square. The outside edges of the pattern have been serged to prevent raveling. ** Cotton Monks Cloth is great for all cuts from the narrow cuts of traditional hooking through #8.5 (3/8" wide strips). Most prefer linen for cuts above 8.5. 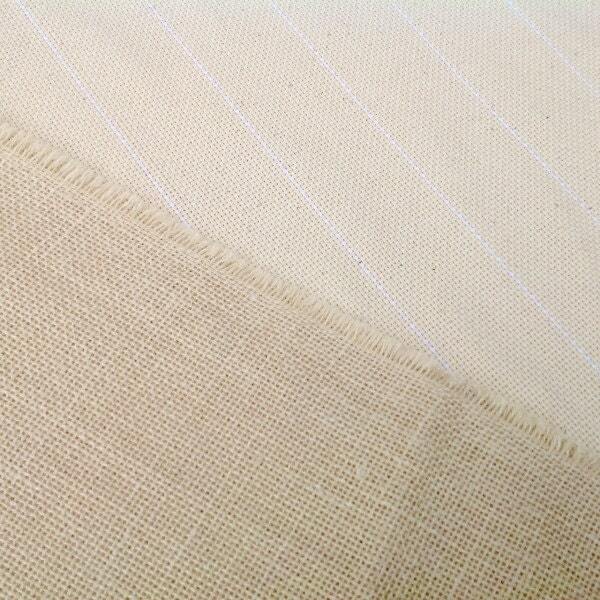 Primitive Linen is wonderful for wide cut hooking, #8 (1/4" strips of wool) and wider.